When we think of a bride, our minds go to a young woman on her wedding day. She’s walking down the aisle to her future husband, and everything about her is pure and beautiful. Crazy as it might sound, that’s the picture the Bible uses to describe the relationship between Jesus and the church. When we are putting God first in our marriages, they become a picture of how Jesus loves us (Ephesians 5:25-33). At times, it’s easier to assume the other person knows how much we love and appreciate them rather than show them. But that’s not what Jesus did. Jesus sacrificed for us because He wants the best for us. He nurtures and cherishes us, drawing us closer to the Father. That’s the same opportunity we have with our husband and wives. 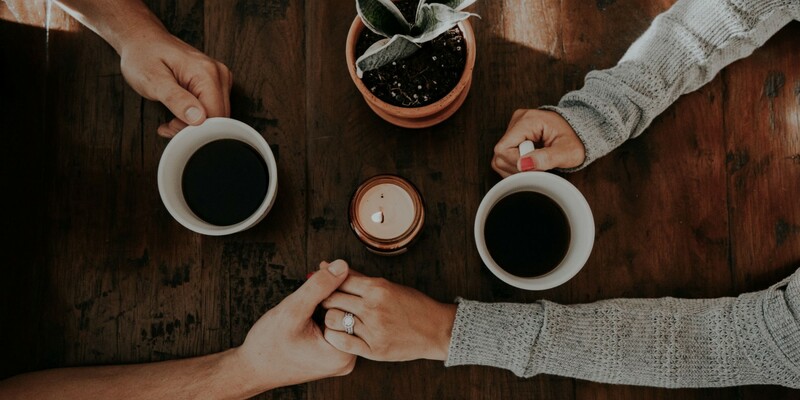 When we take intentional, real-life actions to pursue our spouses, we’re putting God first in our hearts because we’re loving them the way that He designed. Here are five practical ways to put this principle into practice. Ecclesiastes 4:9 says, “Two are better than one, because they have a good return for their labor.” Like most couples, my husband and I find that some chores come more easily to one of us than the other. And some chores are more dreaded by one of us than the other. We weren’t designed to do everything on our own. In fact, we’re at our strongest when husbands, wives, and God are operating in unity. “A cord of three strands is not quickly broken” (Ecclesiastes 4:12). Not only do we get a better return when my husband and I work together, we experience greater intimacy. When my husband does my most dreaded chore (the dishes), I feel appreciated and loved. It’s a relief to see a sparkling clean sink at the end of the night, and know I can relax instead of scrubbing my night away. 2. Let them know you appreciate them. 1 Thessalonians 5:11 tells us to “encourage one another and build one another up.” When I make my husband’s lunch in the morning, I leave him a note thanking him for working hard and providing the life we have. These notes are never long or fancy. Most times, they’re written on our realtor’s 2x2 notepad. But they are always heartfelt. I didn’t think the notes amounted to much until I cleaned out his lunchbox one day. My husband had saved every note and stuffed them in all the pockets. 3. Spend uninterrupted time together. Psalm 73:28 says, “for me it is good to be near God; I have made the Lord God my refuge, that I may tell of all your works.”One-on-one time builds intimacy. That’s true in our relationships with the Lord and it’s true in our relationships with our spouses. We didn’t realize how much we missed each other until we were together. It wasn’t the three-course meal or the hockey game that made us feel connected, but the uninterrupted one-on-one time! 4. Don’t shy away from showing affection. Our spouses are a gift from God, and He delights when we delight in each other. Showing affection doesn’t have to mean being touchy-feely. It took me a long time to know the difference, but affection is simply a gentle feeling of fondness or liking. When we take deliberate time to show obvious affection towards one another our relationship blossoms. A sweet smile, a warm hug, or even a gentle touch of the hand lets us both know how we are feeling inside. It’s not something to forget as the lack of it can have the opposite effect. 5. Give your spouse a free pass. Bad days are inevitable. When one of us comes home from a bad day and says things that should be left unsaid, we’ve decided to give that spouse space before reacting — even when we want to show the other who’s boss or snap back. Ephesians 4:2-3 reminds us to, “Be completely humble and gentle; be patient, bearing with one another in love. Make every effort to keep the unity of the Spirit through the bond of peace.” A few lines later, the writer re-emphasizes this instruction saying, “Be kind and compassionate to one another, forgiving each other, just as in Christ God forgave you” (Ephesians 4:32). When we choose love and forgiveness in the toughest situations, the upset spouse usually apologizes shortly after the initial outburst. It brings us closer together and teaches us to have more compassion toward each other moving forward. When we deserved death, Jesus gave us a new life (Romans 6:23). When we were filled with sin and shame, He gave us purpose and protection (Proverbs 19:21). Each day, His endless provision and love renew our spirit. And the best news of all is that God never counts the free passes He gives to us. He’s eager to bless us! What a beautiful picture of the Gospel when we love our spouses the way God loves us — patiently, sacrificially, and joyfully (1 Corinthians 13:4-7). Discover more about put-god-first, serving, grace, marriage.